হিন্দু দেবতাদের উদাহরণ:(উপর থেকে) ব্রহ্ম, সরস্বতী, লক্ষ্মী, বিষ্ণু, শিব, দুর্গা, হরিহর and অর্ধনারীশ্বর. লরেন্স বলেছেন যে এই ধর্মশাখাগুলি শুধুমাত্র তাদের দেবতাকেই একমাত্র পরম সত্য বলে প্রচার করেনি। জুলিয়াস লিপনার দেখিয়েছেন যে এই বহুবাদিতা,যেখানে অন্য শাখার মুখ্য দেবতাকেও যথেষ্ট সম্মান জানানো হয়,হিন্দুধর্মের এক প্রধান বৈশিষ্ট্য।. Brahma, Vishnu and Shiva with their consorts. ↑ Christopher John Fuller (2004), The Camphor Flame: Popular Hinduism and Society in India, Princeton University Press, আইএসবিএন ৯৭৮-০৬৯১১২০৪৮৫, pages 30-31, Quote: "Crucial in Hindu polytheism is the relationship between the deities and humanity. 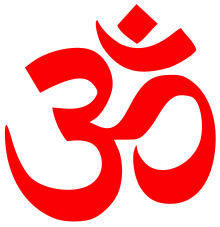 Unlike Jewish, Christian and Islamic monotheism, predicated on the otherness of God and either his total separation from man and his singular incarnation, Hinduism postulates no absolute distinction between deities and human beings. The idea that all deities are truly one is, moreover, easily extended to proclaim that all human beings are in reality also forms of one supreme deity - Brahman, the Absolute of philosophical Hinduism. In practice, this abstract monist doctrine rarely belongs to an ordinary Hindu's statements, but examples of permeability between the divine and human can be easily found in popular Hinduism in many unremarkable contexts". Daniélou, Alain (1991) . The myths and gods of India. Inner Traditions, Vermont, USA. আইএসবিএন ০-৮৯২৮১-৩৫৪-৭. Fuller, C. J. (2004). The Camphor Flame: Popular Hinduism and Society in India. Princeton University Press, New Jersey. আইএসবিএন ০-৬৯১-১২০৪৮-X. Harman, William, "Hindu Devotion". In: Contemporary Hinduism: Ritual, Culture, and Practice, Robin Rinehard, ed. (2004) আইএসবিএন ১-৫৭৬০৭-৯০৫-৮. Kashyap, R.L. Essentials of Krishna and Shukla Yajurveda; SAKSI, Bangalore, Karnataka আইএসবিএন ৮১-৭৯৯৪-০৩২-২. Pattanaik, Devdutt (2009). 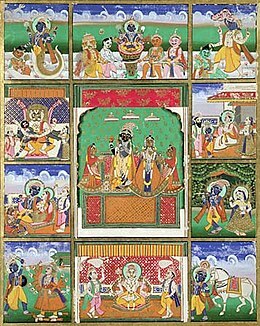 7 Secrets from Hindu Calendar Art. Westland, India. আইএসবিএন ৯৭৮-৮১-৮৯৯৭৫-৬৭-৮. Swami Bhaskarananda, (1994). Essentials of Hindusim. (Viveka Press) আইএসবিএন ১-৮৮৪৮৫২-০২-৫. Werner, Karel A Popular Dictionary of Hinduism. (Curzon Press 1994) আইএসবিএন ০-৭০০৭-০২৭৯-২. Chandra, Suresh (1998). 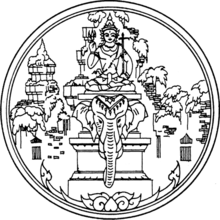 Encyclopaedia of Hindu Gods and Goddesses. Sarup & Sons, New Delhi, India. আইএসবিএন ৮১-৭৬২৫-০৩৯-২. Pattanaik, Devdutt (2003). Indian mythology: tales, symbols, and rituals from the heart of the Subcontinent. Inner Traditions / Bear & Company. আইএসবিএন ০-৮৯২৮১-৮৭০-০. Kinsley, David. Hindu Goddesses: Vision of the Divine Feminine in the Hindu Religious Traditions. Motilal Banarsidass, New Delhi, India. আইএসবিএন ৮১-২০৮-০৩৭৯-৫.